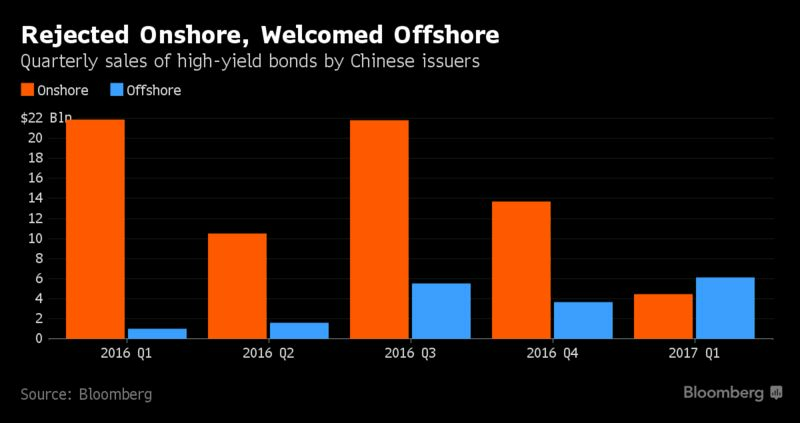 To be sure, a bigger chunk of the risk-taking in the market for Chinese dollar bonds is now coming from investors from China itself. The increasing participation by Chinese buyers, who tend to hold their purchases for the long term, could help limit losses for foreign money managers if the market turns. The country’s banks have been buying 45 percent of new Chinese bond offerings, and are also active in the Chinese local government financing vehicle and investment-grade corporate sectors, according to a Bank of America report.